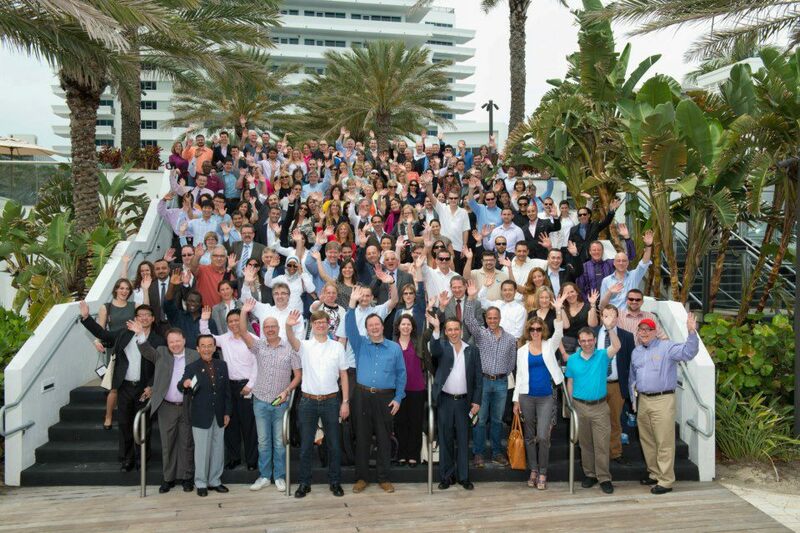 Last week, I attended GALA 2013 Conference in Miami, my first year as Board Member. Last year in Monaco I already enjoyed the learn & share environment, so I was expecting the event, in spite of the high number of trips I have already plan for first semester 2013. The next ones: Krakow for the TMS Inspiration Days, Munich for ELIA ND, and Boston for the ALC conference. And Localization World London and TAUS Executive Forum are also interesting events to go, I hope I can make it. Everything started on Friday evening, with an informal dinner with the Board Members that were already there, Hans, Fabiano, and Robert. It was nice! And then we saw also Joël and Terena, who arrived later that day. It wasn’t until the next day when we met Veronique, and Kim came later on Sunday. A pleasure spending time with these great people who are leading the Association. The Board meeting was the chance to get to know them better and discuss the present and future of the organization. I think that listening to everyone’s opinions will lead to the optimum choices! We are the voice of the industry. On Sunday, we had a wonderful opening reception, where everyone could start socializing and meeting the +250 attendees. I think that this social events are great to relax and talk without the business pressure with all the people. Without them, GALA conferences will be just another conference, but the unique venues combined with the high number of breaks allow to meet a higher number of people tan in other places. People that are eager to learn, improve, and share experiences. In this sense, the Speed Networking was also impressive, but the most interesting place was the boat for the dinner. Socializing with a nice view on Miami is something we wil never forget. The program was impressive as well, congrats to the committee. I could attend a high number of outstanding sessions. I learned a lot. I shared also some experience. Together with Seprotec, we presented a new approach for Spanish into Latin American Spanish that was enjoyed by the attendees. It’s not the classical machine translation system, but a new approach to reduce the costs of approaching the Latin American market. The presentation is available here. One of the things I bring home is that the industry is changing at a fast speed. Technology is driving most of these changes, but others are related to processes, to sales, or to business focus. Even, giving a higher appeal to what others have been doing for several years might lead your company to success, as Hogarth showed us, while some attendees complained. The key is showing the value of what you do. And finding those customers that are willing to pay for it. The battle of the price per word is over. The battle of new value propositions is just starting. It’s up to you to start moving into that direction. Find the converge of what you can be the best at, your passion, and what can generate revenue with high profit. Then, just move fast. Very fast. We could see this on the KnowledgeFest that was held on Wednesday. Sales and Marketing tables were full of people willing to learn, to enhance the way they are doing business. In this sense, my proposal on business model generation also fits there, as a tool to plan strategically before starting. Maybe GALA is not the place to do business, but to improve your business. And this session outdoors helped us broaden our strategic view on the industry and the operations of our companies. I think it was very valuable. By the way, the 6:45 running sessions with friends (Robert, Véronique, Reinhard, Tea, Lucia, and Don) were the perfect start of the day! Thank you. And thanks as well to Allison, Amy, Laura, Doreen, and Hans, for a great conference. Bravo. Next year: Istanbul. To do note: improve our sales process in our main target area for 2013.